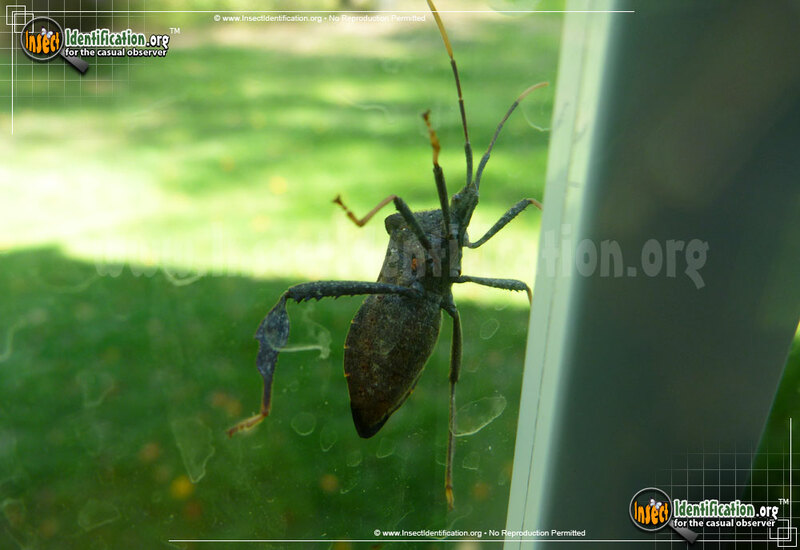 Detailing the physical features, habits, territorial reach and other identifying qualities of the Helmeted Squash Bug. 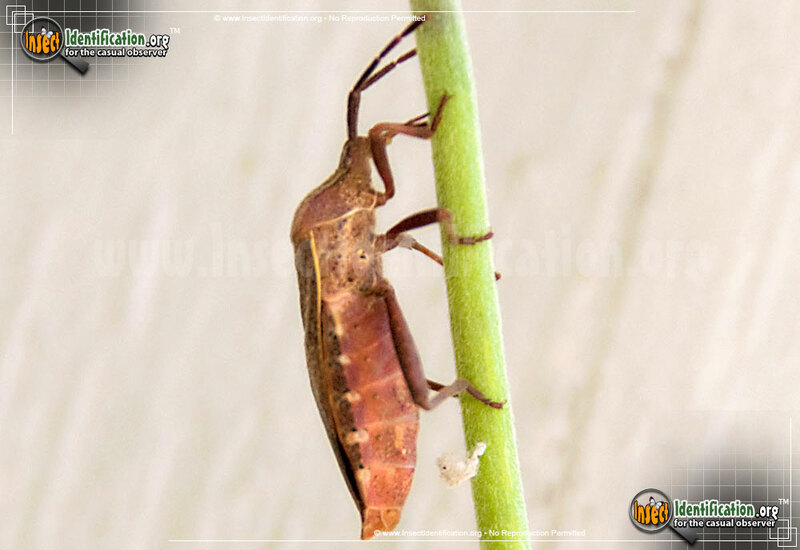 The Helmeted Squash Bug loves to drink plant juices and can put up quite a stink if you insist on bothering it. The Helmeted Squash Bug is considered a pest of plants in the squash family, like pumpkins, gourds and zucchini. Adults feed on plant juices to the point of destroying the plant rendering it inedible for human consumption. The small red (newly hatched) or black-and-tan nymphs have a different body shape. The head and thorax of a nymph are slender and small compared to the wide, oval abdomen. Sharp black spines project from the whole body, with short ones studding the legs. Eyes are red, and long antennae are tan with black, flattened discs near the tips. Adults are brown with broad shoulders. The flared-out sides of the abdomen have light dashes along the edges. They range across the entire North American continent. They can be found in forests, fields, gardens and on shrubs. 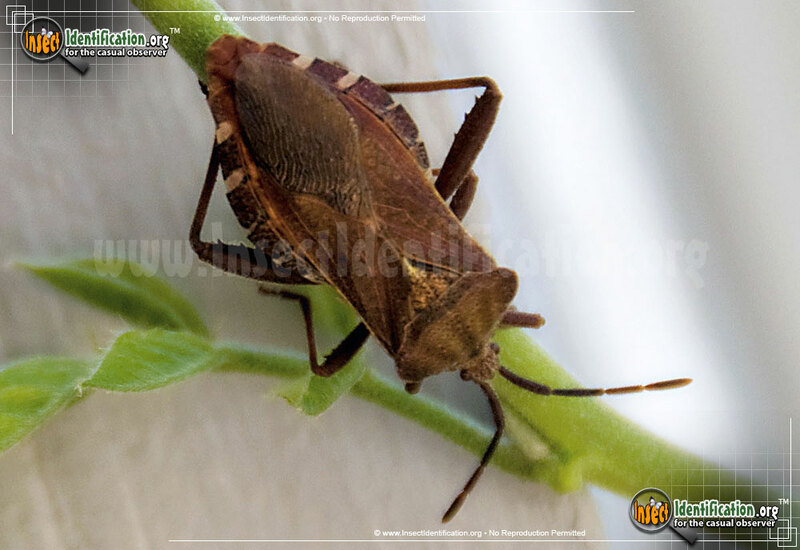 The Helmeted Squash Bug, like all Leaf-Footed Bugs, can emit an malodorous secretion when disturbed or threatened.